Battle Lightining in Final Fantasy XIII-2! 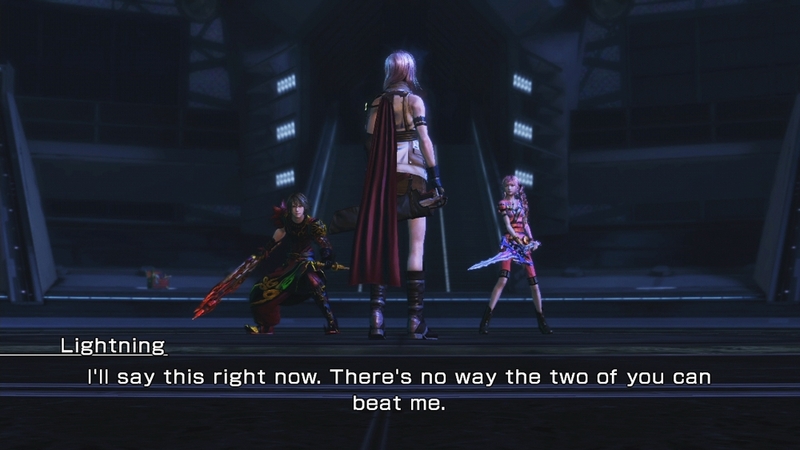 Final Fantasy XIII-2 stars Lightning's sister Serah, putting her in the main role of the game, but if you miss being able to use the heroine from XIII, you'll have a chance to use her in Final Fantasy XIII-2. But you'll have to beat her first. With the Lightning & Amodar pack, you'll gain the opportunity to face Lighting in the Coliseum. If you're able to defeat her in battle, she'll become available to aid you! "Face Lightning and Lieutenant Amodar in the Coliseum! Use the crystals of defeated foes to summon them as allies in battle. The Coliseum appears in the Historia Crux (available from Chapter 2 onwards). To access this content, enter the Historia Crux and select "Coliseum -??? AF-"."